Children love to play ball. And most of them could benefit from a little extra practice being kind. 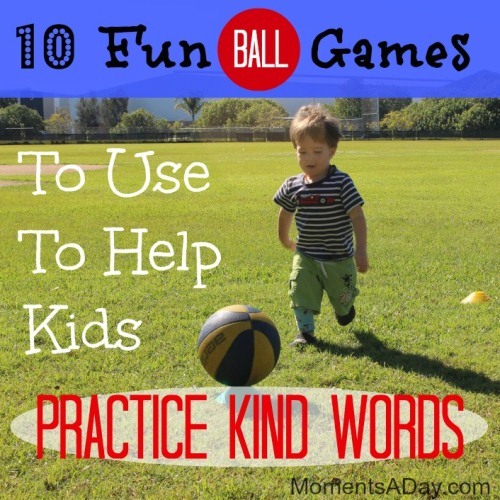 So why not use ball games to help children practice using kind words? You may talk about kindness when you play ball already – like by asking your child to please use a kind voice (if they shouted) or telling them to play nice (if they were not sharing). But what if you discussed using kind words before the game started? My belief is that by intentionally using a few moments every day to teach children about positive character traits in a hands-on way, the more confidence and skills they will gain to put these values into practice during every day life. How exactly might this work? Simply tell your child(ren) you are going to practice kindness while playing ball together. You may playfully announce a “kindness rule” that you must do everything you can to play kind: you will work together and encourage each other by speaking in a nice tone, using kind words, and cheering each other on. No grumbling if someone else wins or pouting if you think someone isn’t playing fair; when we are kind we think about the feelings of others and try to bring them joy. Kindness is the aim of the game. And it can be so much fun! As you play, speak about being kind as many times as you like, high-fiving the kids for displaying any small act of kindness they show on their own accord and gently redirecting them if they need help. Easy and fun… and a simple way to get in more kind, encouraging words. Here are 10 easy ball games to play with your child while practicing kindness. Sit across from each other and roll the ball to each other. How fast can you roll it; how many times without stopping? You may like to count as the ball goes back and forth, suggestion a number you can aim to get to such as 10, 20 or 50 depending on age. (Say “Well done!” and “Good job!” to celebrate each others’ hard work when you reach a goal number. What ball games do you like to play with your children? Do you think trying to practice kindness, by announcing it ahead of time, might be worth a shot? If you liked this post, you may like to browse my other character building activities here. I was inspired to create fun ball games for my kids after attending a bloggers’ family event put on by Baseball Queensland and Blog Power Events. This is not a sponsored post. We had so much fun playing with all sorts of balls and learning about the benefits of joining a baseball team. Gaining a positive attitude, team spirit, and physical skills are just the beginning. 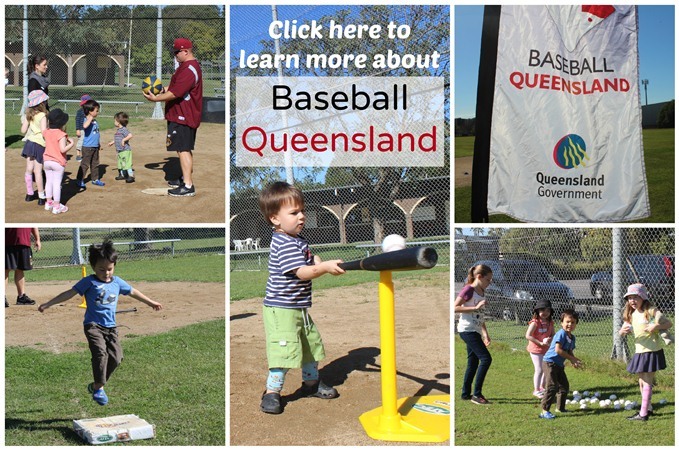 Baseball Queensland runs programs from T-ball to Little League,for boys and girls, from age 4 to adult, with a strict anti-bullying policy. To get more information (and find a club near you!) visit this website. Great ideas, Chelsea, I am so impressed by your creativity! featuring you this week on the kids coop!